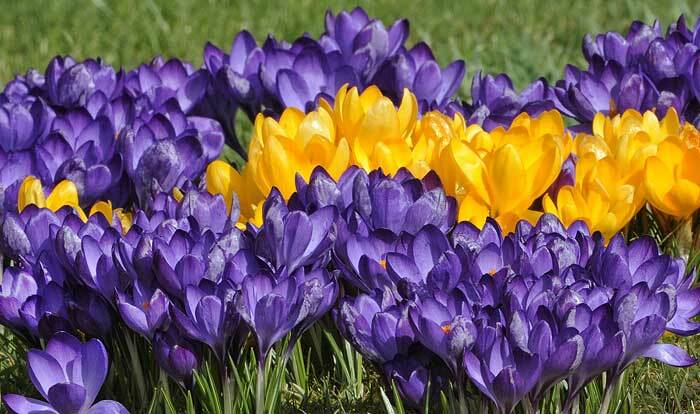 Crocus and Snowdrops - Could Spring Really Be On Its Way? Click on the image above for a small selection of photographs shot in the Stoke Charity and Hunton area a few miles north of Winchester. couple of months will be somewhat erratic. 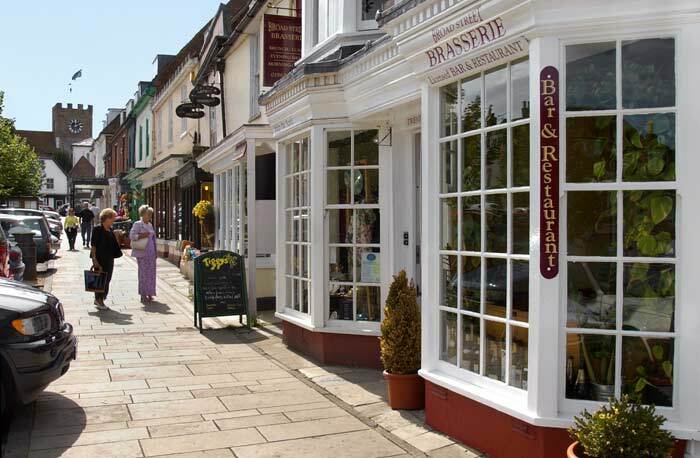 Broad Street is said to be one of the most beautiful streets in Hampshire and dominated at its southern end by the parish church of St John. 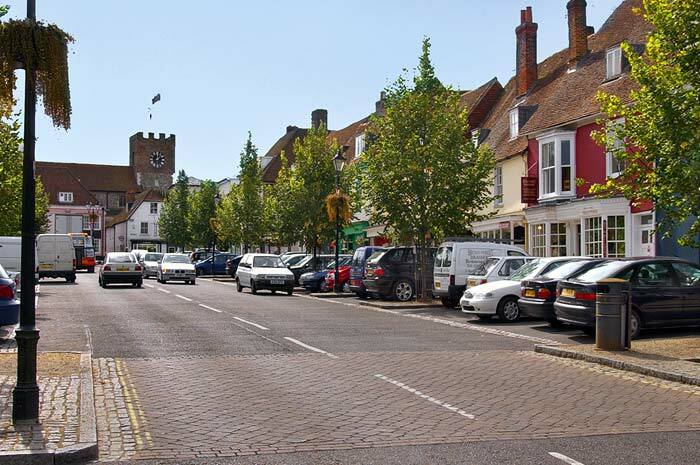 New Alresford was "new" in 1200AD when Bishop de Lucy of Winchester finished the project conceived by his predecessor Henri de Blois, to lay out a new town and dam the River Alre. 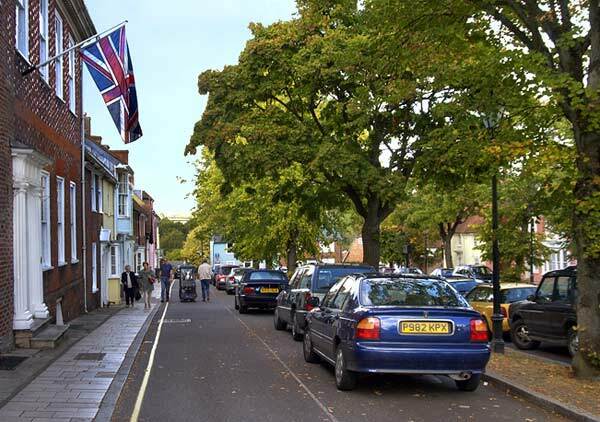 The area around the town is one of the centres of the Hampshire watercress industry going back to the 1860s. 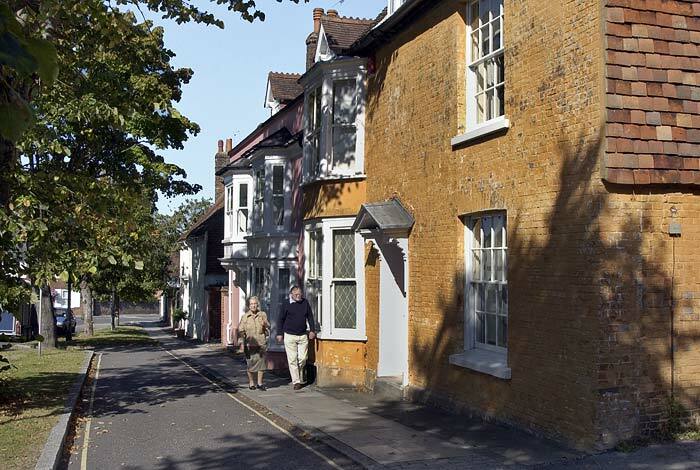 ...while the northern end has an attractive range of town houses, few of them being earlier than the 18th century as the town was prone to fires. 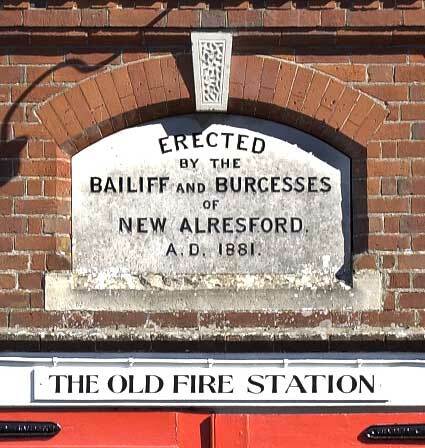 One in 1689 is reported to have destroyed 117 houses as well as the church and left New Alresford as you see it now - a Georgian town. The two plaques below give an idea of the diverse history of some of the houses in Broad Street. 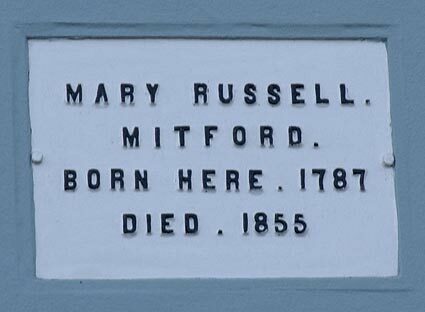 The author of "Our Village" Mary Russell Mitford was born in one, but it's said that she and her family moved from the house when she won a lottery prize of £20,000 at the age of ten. 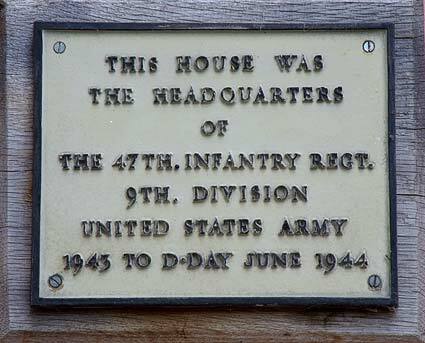 Another plaque indicates the house was the headquarters of the 47th Infantry Regiment of the US Army during the Second World War. 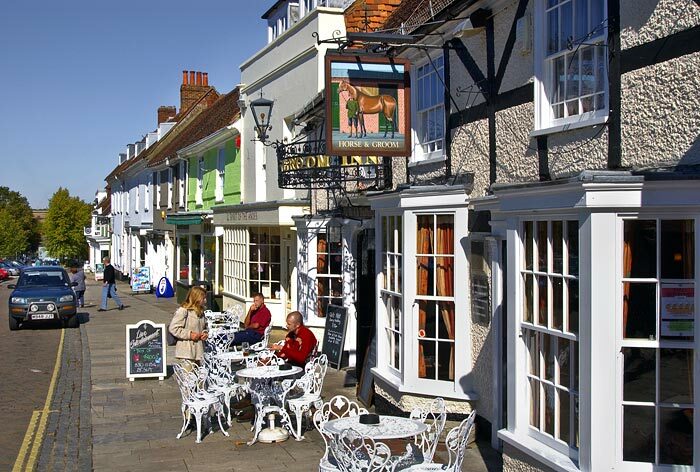 The Horse and Groom Inn. 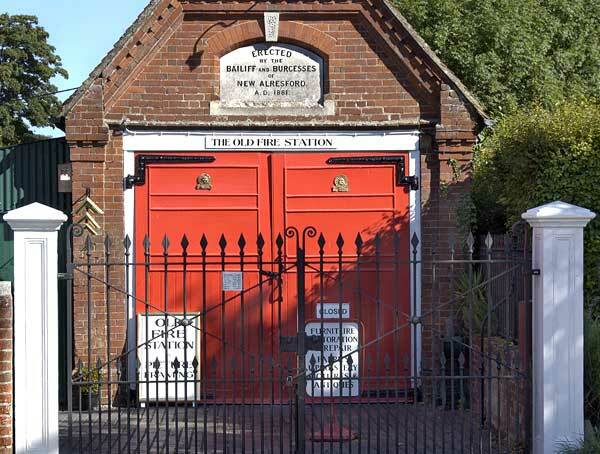 The entrance to one of the beautiful houses in Mill Hill. The old Fire Station at the bottom (northern end) of Broad Street. 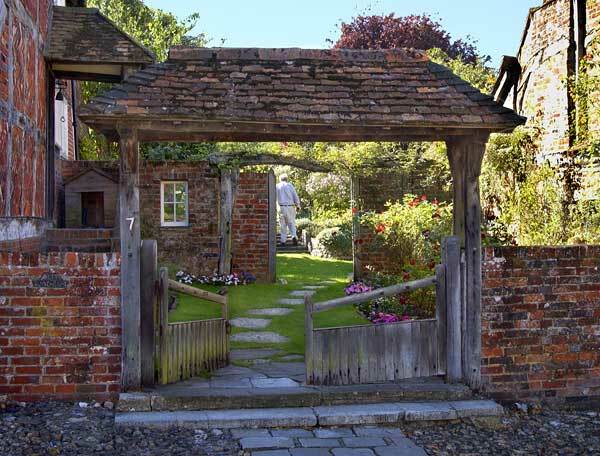 The 17th century coaching inn "The Globe On The Lake" is situated on The Soke with its garden overlooking Old Alresford Pond. 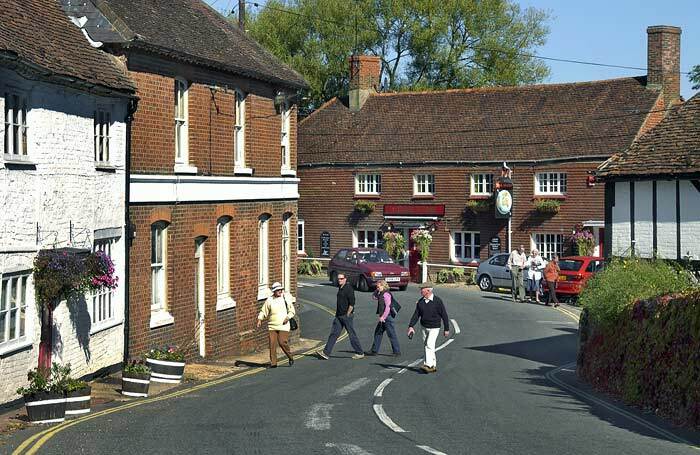 The road passes over the Great Weir and gives access to the village of Old Alresford. Saved from Disaster - A plaque in the gardens behind the Globe honours Captain Robert Cogswell of the US 8th Air Force, whose bravery during World War Two saved Alresford from a potential disaster. In September 1943 his B17 Flying Fortress "Lady Luck", with a full bomb load, got into difficulties over the town. Captain Cogswell ordered his crew of nine to bail out while he stayed on board the aircraft in an attempt to steer the bomber away from the town. The plane eventually came down just east of Old Alresford Pond, Captain Cogswell having jumped to safety shortly before it crashed. 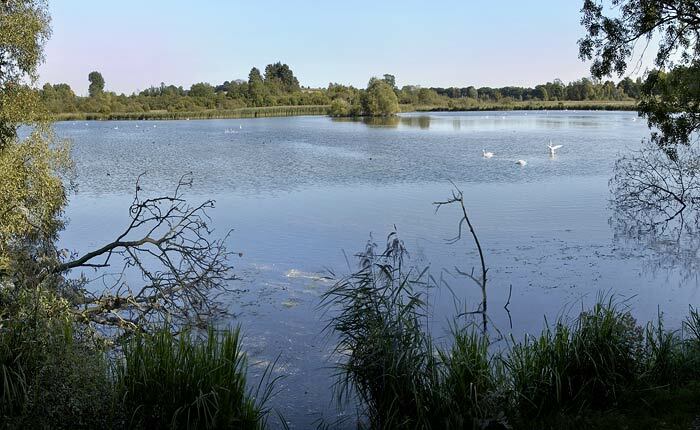 Old Alresford Pond - Proposed by Henri de Blois, Bishop of Winchester and completed by Godfrey de Lucy his successor, who was also credited with turning the River Itchen into a navigable canal with the pond providing a head of water for the canal as well as a source of power for the mills down-stream.